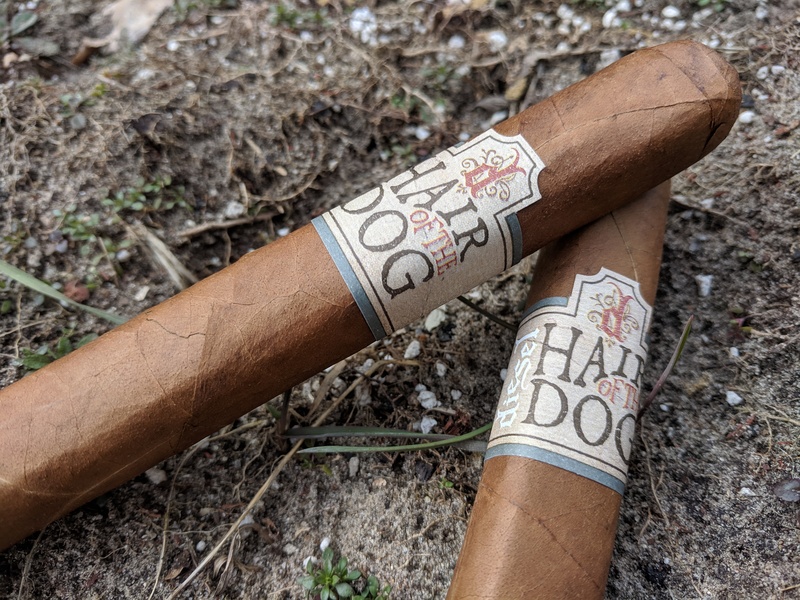 Developed by AJ Fernandez with Justin Andrews and handcrafted at Tabacalera AJ Fernandez in Esteli, Nicaragua, Diesel’s Hair of the Dog is a limited edition cigar created for enthusiasts who enjoy medium to full bodied smoking experience. This limited release will be making an appearance in a cigar shops nationwide later this month. However, with only 5,000 boxes produced for this run, you better keep an eye out, because it is doubtful they will stay on the shelves for long.  As you know, the hair of the dog is something we’re all to familiar with here at Busted Wallet. After a late night, or an extended day of sipping, drinking or downright slamming back cold ones. The next morning can be rough and sometimes a little hair of the dog is all it takes to kick your system back into drive. The name of this cigar evokes foggy memories and painful hangovers that quickly turn in to brunches filled with bloody marys and mimosas. When we first saw Diesel was releasing this new stick, we knew we had to give it a try! These box pressed 6” x 54 toros are well made, which is something we’ve come to expect from Diesel and AJ Fernandez over the years. Obviously hand rolled, the rich and oily Ecuadorian wrapper is beautiful. 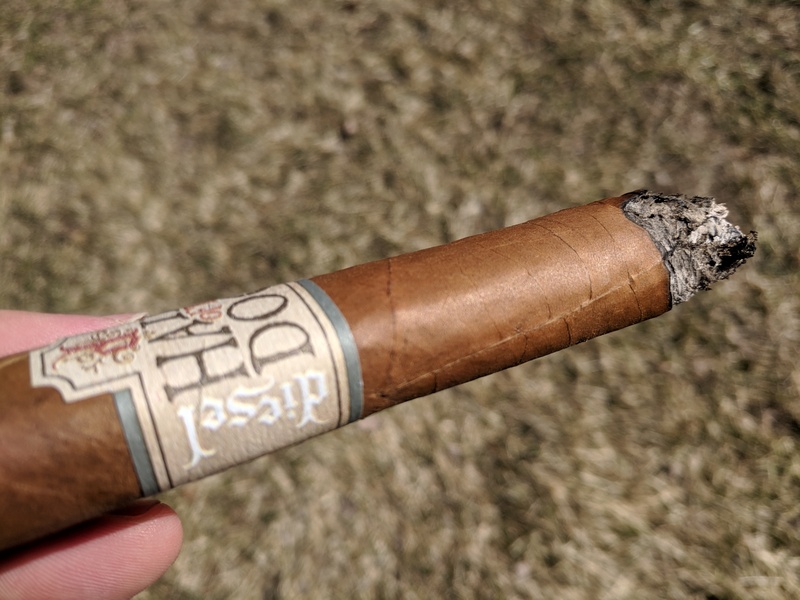 The cap is seamlessly fitted and the cigar feels stiff, but not over filled or dense. 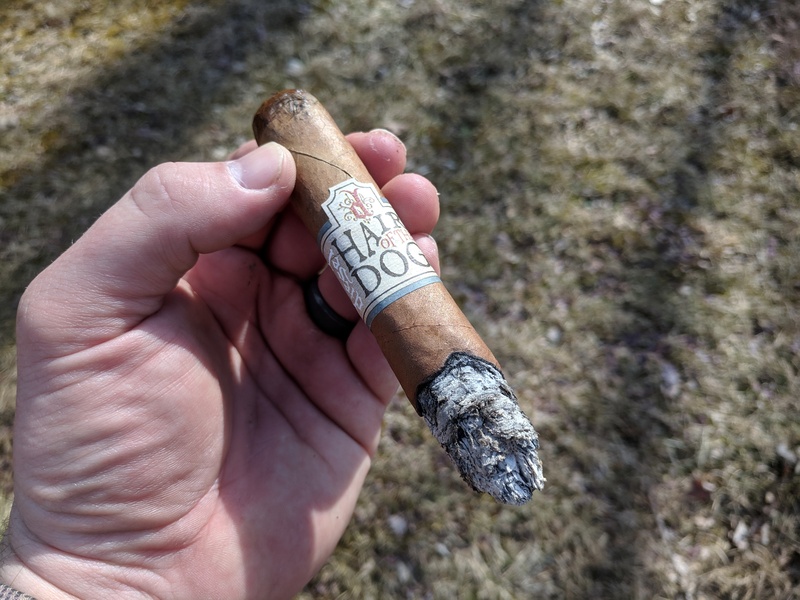 Overall, the Hair of the Dog cigar is a well crafted stick. There’s really nothing we can complain about in this department. Utilizing a punch cut on this toro proved to be the right choice. The draw was fairly effortless. 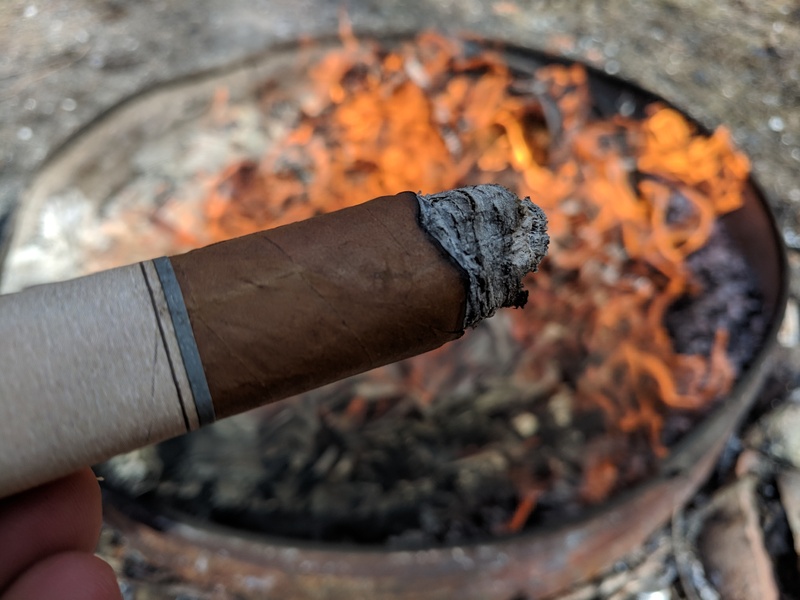 After toasting the foot and taking the first initial draws the cigar kept itself in check for the remainder of the smoke session. Producing heavy amounts of gray/white smoke, I looked like a train rolling down the track. This is an enjoyable stick to smoke and doesn’t require babysitting. From start to finish this toro lasted about 65 minutes. 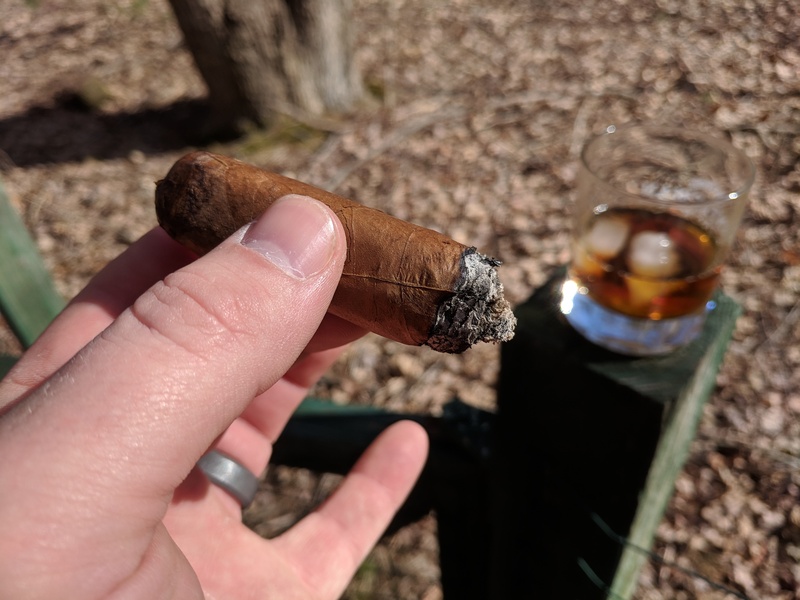 Even on a windy day, the Hair of the Dog cigar needed little or no attention. The cigar burned evenly and produce a cone shaped ash through the first and second third. It was only at the nub when we experienced the first draw of unpleasantly warm smoke. We were able to smoke nearly 85% of the cigar before deciding to call it. Its rare you can light a stick and simply smoke and forget about it. The Hair of the Dog is one of those cigars! This cigar is not for the faint hearted. 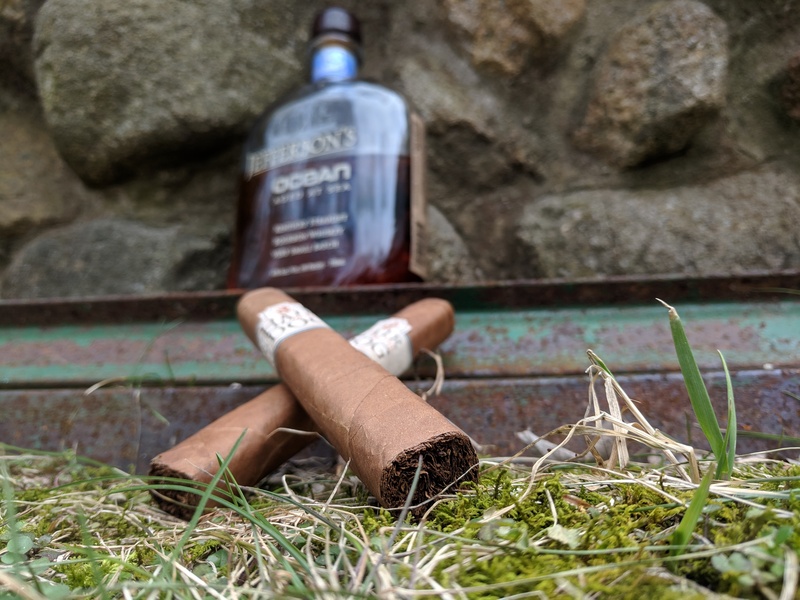 It is a bold stick that pairs well with rum or whiskey on the rocks. The bite of black pepper greats you up top, while hints of vanilla fade away at the end. The first third of this cigar was very pleasant, as was the 2nd third. We only experienced excessively warm draws near the nub. The cigar remained consistent throughout the smoke session, only amping up in intensity toward the very end. All in all, a very good flavor profile. Selling for $10 a stick, this limited run has a lot going for it. If you’re able to find a box at your local cigar shop (or online) I would say give it a try. The Hair of the Dog cigar is a bold stick that is masterfully handcrafted and smokes like a much more expensive stick. If you’ve got more than an hour to kick back and enjoy a cigar, this should be one of the next sticks on your list to check out. The Hair of the Dog by Diesel Cigars is a solid cigar that provides a great smoking experience. With only 5,000 boxes produced in this limited run, get them while you can.